Home Retail Industry Is Black Friday Turning Gray? Is Black Friday Turning Gray? Amazon – Black Friday Deals Week! 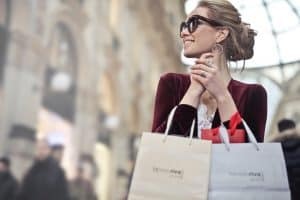 So, do I really need to fight the crowds and craziness the day after Thanksgiving to save money on holiday shopping? It doesn’t look like it. Industry experts agree. Black Friday is not dying, but it’s certainly turning gray. Why? It’s been reported that up to 40 percent of consumers now start their holiday shopping before Halloween. Brand Keys says that 25 percent of all holiday shopping now occurs before Black Friday. Beyond that, more and more retailers are fighting the trend to open on Thanksgiving Day. Among them are Neiman Marcus, Nordstrom, Costco, Sam’s Club, Home Depot, Lowe’s, and Bed, Bath and Beyond. Of course, at the other end of the spectrum, Walmart and JC Penney will open on Thanksgiving Day and remain so until Black Friday is over. A new Accenture survey reinforces the fact that holiday sales are starting earlier and differently every year. It revealed that 52% of respondents said they are less likely to go to stores on Black Friday because shopping online is so much easier. The Cyber Monday phenomenon has lured consumers away from fighting Black Friday crowds. The National Retail Federation (NRF) reported that shoppers in stores on Black Friday weekend in 2017 dropped by 3 million versus 2016. John Elman with Nasdaq Advisory Services says the concept of Black Friday deals keeps diminishing. Beyond the shift to e-commerce, he says people are getting used to deals all year round. Elman also says that even Cyber Monday, a relative newcomer to the Thanksgiving shopping madness, will become less relevant as consumers shop year-round. Overall, however, projections for holiday 2018 retail sales are bright. According to the NRF, this year’s holiday sales are projected to rise between 4.3 and 4.8 percent versus 2017. It’s estimated that consumers will spend between $717 and $720 billion this season. Adobe Analytics said that in 2017, consumers spent $8 billion in online sales on Thanksgiving and Black Friday, up 17.9 percent from the prior year. Consumers are shopping and buying in record numbers, and total holiday retail sales remain strong. But things are changing. Consumers are just not knocking down the doors as much at brick-and-mortar stores on the day after Thanksgiving. It seems like Black Friday is turning into Black Weekend, Black November or even Black Year—and that’s probably OK. But if you haven’t started your holiday shopping yet, get going! There are now better and less stressful options to fighting the “doorbuster” crowds.